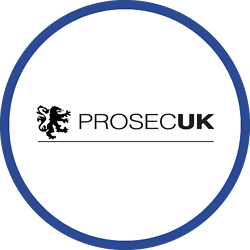 Established in the 1980’s Prosec (UK) has grown into one of the most technologically developed and highly respected professional suppliers of security services in the UK. 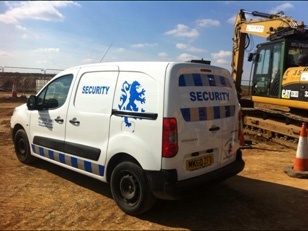 These services include 24 hour guarding, CCTV installations, and mobile patrols using highly trained professional security guards. Prosec operate nationwide covering domestic, commercial and industrial premises, as well as local government buildings. Prosec (UK) were using two dispersed solutions to monitor and report on security guard patrols which created two specific problems that needed to be addressed. Firstly, a cumbersome process existed to prepare customer reports because it required the amalgamation of data from two separate sources. Secondly, the patrol check-point solution provided data which could only be downloaded direct to a laptop on location. This meant that the process was time consuming and labour intensive as it had to be done on a weekly basis at multiple locations. It also meant that the data was retrospective which further delayed reports to clients. Both issues could only be resolved by a completely new system. In May 2013 Prosec (UK) decided to abandon their dispersed solutions and implement Crystal Ball’s FleetTracker, MobileTrack Lite, MobileLWP and MobileNFC. They now have a capable one platform solution that allows patrols to be continuously monitored across the UK, with a single web-based system to access client reports in real-time. MobileNFC’s use of coded NFC Tags delivers an enhanced solution to their previous patrol check-point solution, as patrols notify administrators the moment they arrive at or leave an area. In addition, the introduction of MobileLWP now delivers a greater level of welfare protection for personnel that wasn’t available before. This includes panic alarms that can be activated by the guard on their smartphone handset in an emergency situation. Prosec (UK) has seen significant improvements to the company’s processes and productivity since implementing the Crystal Ball’s system. Site visits are no longer required to collect data direct to laptops, which saves a great deal of time, money and inconvenience. Prosec have also enhanced the levels of service to customers with instant reports and audit trails sent to them regarding patrols. The addition of MobileLWP has also been hugely beneficial to the welfare of their security guards, as they can now request immediate assistance if necessary. “We are always able to keep track of our guys now in real-time and know that they are safe. The patrol reports offer a huge benefit to us as it means I no longer have to leave the office, as I can just download reports.